From luxe indulgence to treatment necessity or well-being lifestyle choice, attitudes towards massage therapy have come a long way. “It used to be that people thought of massage as a special occasion spa treat and not as an essential part of their healthcare regime,” says Registered Massage Therapist (RMT) Lisa Macchia who co-founded and operates Bayview Sheppard RMT with her business partner and fellow RMT Helen Milic. 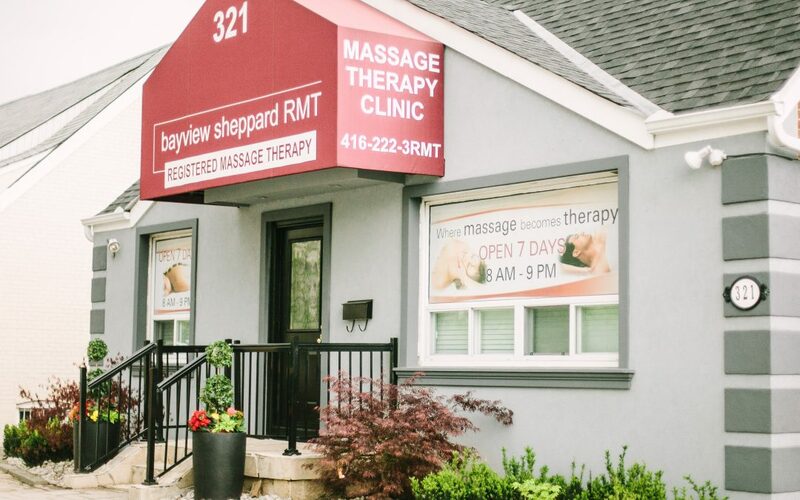 Located in mid-town Toronto, Bayview Sheppard RMT is a successful comprehensive massage therapy clinic offering specialized massage treatments. Its elegant and feel-at-home design provides a very comfortable and stress-free atmosphere to experience their wide range of professional services from therapeutic, deep tissue, sports, relaxation, pregnancy and infant massage to hot stone, aromatherapy and Thai treatments. Bayview Sheppard RMT has grown to include a team of over 25 registered therapists and support staff and are now open seven days a week from 8am to 9pm to offer the utmost convenience. They have also added a dual massage therapy room with a fireplace where partners and many parents come with their children to introduce them to this type of health care. Community involvement is a big part of Bayview Sheppard RMT’s mandate as they participate in many educational and charitable initiatives throughout the city including massage therapy benefit seminars, sports-related and dental benefit workshops and infant massage clinics. “The future looks bright for Bayview Sheppard RMT and we aim to continue to educate and offer the most beneficial and innovative treatments, combined with top-notch customer service,” says Helen. Visit www.bayviewsheppardrmt for more information.